If your finances are in turmoil and you need a bankruptcy attorney in Wilmington, NC, we will help you get the fresh start you need. The American economy is based on credit. The government even promotes the spending of our hard-earned money on things that advertisers say we must have. Then something happens in life – something unexpected comes along like job loss, medical bills, divorce, legal separation, business failures and foreclosure. The emotional pain and stress can be great, but having a qualified bankruptcy lawyer on your side can help ease that stress. If any of these problems have created financial difficulties in your life, you aren’t alone. Many people with serious financial problems have found hope. An expert bankruptcy attorney can help you file for Chapter 7 or Chapter 13 bankruptcy and erase your debts while giving you a fresh start in life. We explain the legal process of filing for bankruptcy and the required paperwork. No bankruptcy is fun, but it is very doable with the right guidance and a step by step approach. Hiring the best bankruptcy attorney in Wilmington, NC and filing for bankruptcy stops your creditors from trying to collect from you – immediately! Today, bankruptcy law is needs based. Our goal is to protect your assets by applying exemptions and discharging your debts so you can get a fresh start in life. There are two basic types of consumer bankruptcy cases for individuals. There are a couple of major differences between these two types of bankruptcy … your Wilmington Bankruptcy Attorney, Gregory Kornegay, can explain in greater detail, but the major differences are outlined below. The Chapter 13 is an alternative to liquidation under Chapter 7. Chapter 13 debtors, unlike Chapter 7 debtors, normally get to keep their nonexempt assets. Even the Chapter 7 debtor gets to keep his or her exempted property, it is protected by the court, but he or she can’t keep the non-exempted property. The Chapter 13 would allow the debtor to keep this extra property – the non-exempted property. But there is a trade off for keeping this extra property in a Chapter 13 case. The creditors can count on the debtor’s future income and assets to make sure that they will receive at least as much as they would have received under a Chapter 7 case. Chapter 13 debtors have greater rights in dealing with secured creditors and receive a broader discharge than Chapter 7 debtors. However, 3-5 years is a long time. This is how long a Chapter 13 can last. There are certain things a Chapter 13 Plan must do and there are certain things a Chapter 13 Plan may do. As you can see, it is advisable to have a bankruptcy lawyer in Wilmington, NC fighting on your side to help you with advance planning and with navigating your way through the court system. 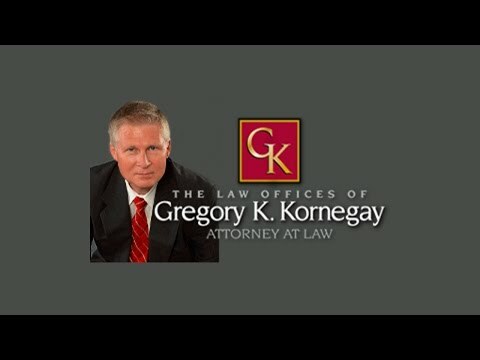 Greg Kornegay Law has the experience you need, and we are ready to help. How are Wilmington NC Bankruptcy Cases Filed and What Law Applies? Bankruptcy cases for Southeastern North Carolina are started by filing a “petition” electronically with the US Bankruptcy Court. The US Bankruptcy Code, the Federal Rules of Bankruptcy Procedure, and case-law applies to Bankruptcy cases. In addition, some State law covers what exemptions may apply. Several factors may determine if you need a bankruptcy attorney or if you even need to file. The general question normally is: What is your overall financial condition? Is there a pack of wolves attacking you, or is there just one wolf? If only one wolf, is it possible to negotiate with that creditor and reach a settlement that keeps you from filing bankruptcy. If your only concern is a deficiency claim from a car that was repossessed and sold, then you may not need to file for bankruptcy. In this situation, you may need to negotiate a settlement that will help you avoid bankruptcy. Of course, a big factor will be the amount you owe. Is the amount small enough to reach a settlement? In contrast, is bankruptcy necessary to prevent a repossession or foreclosure of property in which you have equity? Has your financial condition deteriorated to such an extent that your wages are being garnished or is your power about to be cut off? In these situations, many times filing bankruptcy will prevent such drastic collection actions and getting a bankruptcy attorney on your side sooner rather than later is recommended. Filing bankruptcy stops all collection actions and gives you a resting period so that you can work out agreements with some creditors and work towards discharge of your debts with others. Another reason to file Bankruptcy may be to just clean up your credit so that you can obtain credit in the future. Do I Have a Choice in Filing a Chapter 7 or Chapter 13? Sometimes you may not even have a choice as to which type of bankruptcy you file. Some people are not eligible to file for Chapter 7 bankruptcy since they are able to pay back some of their debts. On the other hand, some people are presumed to be eligible to file for Chapter 7 bankruptcy since their income is less than a certain amount and they cannot pay back their debts. Chapter 7 bankruptcy is the most common type of bankruptcy. You can either file by yourself or with your spouse. First, the court wants to understand the types of property you own. We must list all of your property with the Court. Second, the court wants to know about your creditors. We must list all of your creditors with the court. Third, we must show that your monthly income is not enough to cover your monthly living expenses. Our objective for Chapter 7 bankruptcy is to apply the exemption law to your property, to help protect your property and yourself. Bankruptcy can help save your car, house or other property. Stop the harassment and give yourself hope today. Located in Wilmington, North Carolina, we serve the Southeastern Region of the State and have been doing so for over 25 years. We are dedicated to assisting individuals who are facing difficult financial problems. Client satisfaction is our number one goal. The relevant procedure of your case and the associated issues are discussed in detail before representation is ever started. No question is too small. Every client is important. GREGORY KORNEGAY LAW IS A DEBT RELIEF AGENCY AND WE HELP PEOPLE FILE FOR RELIEF UNDER THE BANKRUPTCY CODE. Should I do the debt settlement thing? Most debt settlement agreements are traps. Many times, consumers end up with more red ink, and not debt free as they were promised. Kind of like pouring salt into an open wound. The Better Business Bureau has called the debt settlement business "problematic." The Federal Trade Commission (FTC) and many state attorneys general have discovered evidence of wide spread abuses in debt settlement companies. *debt settlement companies that are "for-profit"
*even if successful, it may be at a high price. Tax liability could be an issue since any savings from debt settlement may be taxable income. However, each case is different. If you only have one debt and a little cash on hand, you might be able to settle that debt for less than what you owe. If you must use a debt settlement company, look for a nonprofit organization.